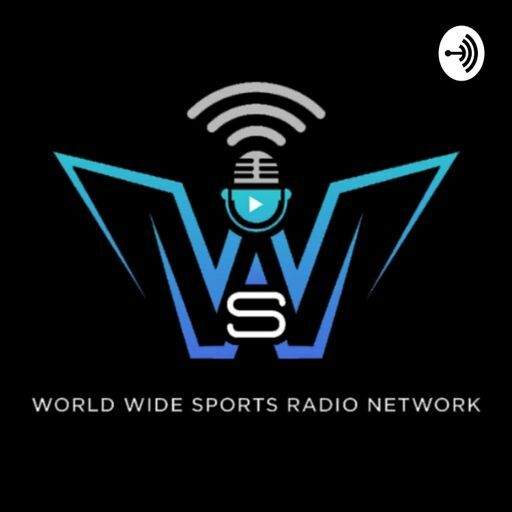 Welcome to World Wide Sports Radio Network a Long Island base radio network, where amazing things happen. A commercial free episode of Thursday's Below the Mic show. A commercial free episode of Thursday's Home Stretch show, featuring the second live mock draft with Mike Guido, Dylan Ramsay, Tyler Harrison, and Speedy Pete. A commercial free episode of Thursday's 3rd and Long show. A commercial free episode of Thursday's Chalk Talk show. A commercial free episode of Wednesday's Home Stretch show. A commercial free episode of Wednesday's Haystack show. A commercial free episode of Tuesday's Home Stretch show. A commercial free episode of Tuesday's Down to the Wire show. A commercial free episode of Tuesday's 3rd and Long show. A commercial free episode of Tuesday's Chalk Talk show. A commercial free episode of Monday's Haystack show. A commercial free episode of Monday's Chalk Talk show. A commercial free episode of Friday's Home Stretch show. A commercial free episode of Friday's Chalk Talk show. A commercial free episode of Thursday's Home Stretch show. A commercial free episode of Wednesday's Moffett on the Mic show. A commercial free episode of Wednesday's Chalk Talk show. A commercial free episode of Tuesday's Moffett on the Mic show. A commercial free episode of Monday's Down to the Wire show. A commercial free episode of Monday's 3rd and Long show. A commercial free episode of Sunday's Behind the Barricade, with coverage from WrestleMania from MetLife Stadium. A mostly commercial free (one commercial playing in background of mockery at second segment) episode of Friday's Home Stretch show. A commercial free episode of Thursday's Moffett on the Mic show. A commercial free episode of Thursday's Haystack show, hosted by John Fogarty rather than Mike Guido. A commercial free episode of Wednesday's Below the Mic show. A commercial free episode of Wednesday's 3rd and Long show. A commercial free episode of Tuesday's Haystack show. A commercial free episode of Monday's Moffett on the Mic show. A commercial free episode of Monday's Home Stretch show. A commercial free episode of Sunday's Behind the Barricade show. A commercial free episode of Friday's Moffett on the Mic show. A commercial free episode of Friday's CageDenMMA show. A commercial free episode of Thursday's Haystack show. A commercial free episode of Wednesday's Moffett on the Mic show, featuring a special guest interview with former Sportsonthego1 radio host and current SB Nation Houston radio host Jake Asman. A commercial free episode of Thursday's Home Stretch show! A commercial free episode of Thursday's 3rd and Long show, featuring special guest former Seton Hall center John Garcia. A commercial free episode of Friday's CageDenMMA show, the return of CageDenMMA since rebranding to the World Wide Sports Radio Network. A commercial free episode of Tuesday's Home Stretch show, featuring a live NFL Mock Draft with Tyler Harrison, Speedy Pete, Mike Guido, and Dylan Ramsay. A commercial free episode of Errol Marks' new show, Below the Mic, live from the studio at his house. A commercial free episode of Thursday's Home Stretch show, featuring special guest Jerry Horror. A commercial free episode of Wednesday's Moffett on the Mic show, featuring a special guest interview with Outside the Cage podcast host Isaac Feldman. A commercial free episode of Monday's Moffett on the Mic show, featuring a special guest interview with What's Wrong With Wrestling podcast host Joe Pisano. A commercial free episode of Tuesday' Down to the Wire show. A commercial free episode of Monday's Moffett on the Mic show, hosted by Chris Klimaszewski rather than Craig Moffett. A commercial free episode of Wednesday's Moffett on the Mic show, featuring a special guest interview with Newsday Mets beat writer Tim Healey. A commercial free episode of Monday's Moffett on the Mic show, including a special guest interview with What's Wrong With Wrestling Podcast host Andrew Pisano. A commercial free episode of Sunday's CageDen MMA show. A commercial free episode of Friday' Moffett on the Mic show. A commercial free episode of Wednesday's Moffett on the Mic show, featuring an interview with SB Nation Houston and former Sportsonthego1 radio host Jake Asman. Errol Mark's opening monologue from Down to the Wire on January 30, 2019. Errol Mark's opening monologue from Down to the Wire on January 29, 2019. Errol Mark's opening monologue from Down to the Wire on January 28, 2019. Errol Mark's opening monologue from Down to the Wire on January 23, 2019. Errol Mark's opening monologue from Down to the Wire on January 22, 2019. Errol Mark's opening monologue from Down to the Wire on January 15, 2019. Errol Mark's opening monologue from Down to the Wire on January 14, 2019. Errol Mark's opening monologue from Down to the Wire on January 9, 2019. Errol Mark's opening monologue from Down to the Wire on January 7, 2019. A commercial free episode of Wednesday's Down to the Wire show. A commercial free episode of Wendesday's Chalk Talk show with a special guest interview with Tampa Bay Rays minor league pitcher Matt Seelinger. A commercial free episode of Wednesday's 3rd and Long show, featuring special guest former NFL offensive lineman Gary Brown. Errol Marks' opening monologue from Down to the Wire on July 2, 2018. Errol Marks' opening monologue from Down to the Wire on December 17, 2018. Errol Marks' opening monologue from Down to the Wire on August 27, 2018. Errol Marks' opening monologue from Down to the Wire on July 18, 2018. Errol Marks' opening monologue from Down to the Wire on June 19, 2018. Errol Marks' opening monologue from Down to the Wire on May 22, 2018. Errol Marks' opening monologue from Down to the Wire on September 18, 2018. Errol Marks' opening monologue from Down to the Wire on December 12, 2018. Errol Marks' opening monologue from Down to the Wire on July 9, 2018. Errol Marks' opening monologue from Down to the Wire on September 17, 2018. Errol Marks' opening monologue from Down to the Wire on April 11, 2018. Errol Marks' opening monologue from Down to the Wire on August 14, 2018. Errol Marks' opening monologue from Down to the Wire on June 25, 2018. Errol Marks' opening monologue from Down to the Wire on July 16, 2018. Errol Marks' opening monologue from Down to the Wire on May 21, 2018. Errol Marks' opening monologue from Down to the Wire on April 18, 2018. Errol Marks' opening monologue from Down to the Wire on August 20, 2018. Errol Marks' opening monologue from Down to the Wire on June 4, 2018. Errol Marks' opening monologue from Down to the Wire on July 17, 2018. Errol Marks' opening monologue from Down to the Wire on September 25, 2018. Errol Marks' opening monologue from Down to the Wire on March 26, 2018. Errol Marks' opening monologue from Down to the Wire on May 30, 2018. Errol Marks' opening monologue from Down to the Wire on August 7, 2018. Errol Marks' opening monologue from Down to the Wire on May 23, 2018. Errol Marks' opening monologue from Down to the Wire on July 24, 2018. Errol Marks' opening monologue from Down to the Wire on September 11, 2018. Errol Marks' opening monologue from Down to the Wire on April 17, 2018. Errol Marks' opening monologue from Down to the Wire on June 6, 2018. Errol Marks' opening monologue from Down to the Wire on April 3, 2018. Errol Marks' opening monologue from Down to the Wire on June 26, 2018. Errol Marks' opening monologue from Down to the Wire on March 12, 2018. Errol Marks' opening monologue from Down to the Wire on August 28, 2018. Errol Marks' opening monologue from Down to the Wire on September 12, 2018. Errol Marks' opening monologue from Down to the Wire on March 20, 2018. Errol Marks' opening monologue from Down to the Wire on August 13, 2018. Errol Marks' opening monologue from Down to the Wire on May 29, 2018. Errol Marks' opening monologue from Down to the Wire on July 25, 2018. Errol Marks' opening monologue from Down to the Wire on December 19, 2018. Errol Marks' opening monologue from Down to the Wire on April 10, 2018. Errol Marks' opening monologue from Down to the Wire on May 15, 2018. Errol Marks' opening monologue from Down to the Wire on August 29, 2018. Errol Marks' opening monologue from Down to the Wire on February 21, 2018. Errol Marks' opening monologue from Down to the Wire on September 4, 2018. Errol Marks' opening monologue from Down to the Wire on April 25, 2018. Errol Marks' opening monologue from Down to the Wire on February 16, 2018. Errol Marks' opening monologue from Down to the Wire on June 5, 2018. Errol Marks' opening monologue from Down to the Wire on December 11, 2018. Errol Marks' opening monologue from Down to the Wire on August 21, 2018. Errol Marks' opening monologue from Down to the Wire on December 18, 2018. Errol Marks' opening monologue from Down to the Wire on September 26, 2018. Errol Marks' opening monologue from Down to the Wire on July 3, 2018. Errol Marks' opening monologue from Down to the Wire on September 19, 2018. Errol Marks' opening monologue from Down to the Wire on May 14, 2018. Errol Marks' opening monologue from Down to the Wire on April 24, 2018. Errol Marks' opening monologue from Down to the Wire on December 10, 2018. Errol Marks' opening monologue from Down to the Wire on June 18, 2018. Errol Marks' opening monologue from Down to the Wire on May 9, 2018. Errol Marks' opening monologue from Down to the Wire on Februrary 25, 2018. Errol Marks' opening monologue from Down to the Wire on January 2, 2019. Commercial free episode of Wednesday's Moffett on the Mic show! Commercial-free episode of yesterday's Home Stretch show. Commercial free episode of yesterday's Chalk Talk show.